In 2003, Hulk was released by Universal Pictures. One of the first films of the 21st century craze for superhero cinema, it ultimately became one of the most forgettable Marvel-based titles (though it wasn’t actually created by Marvel Studios). Rotten Tomatoes shows there’s a 61% rating among critics, but the same page shows only 29% of viewers enjoyed it. Then, when 2008’s The Incredible Hulk arrived as a reboot instead of a sequel, Hulk was basically left behind. Between the two of these films, however, there was actually a decent amount of popular interest in the Hulk before the modern Marvel Cinematic Universe as we know it came into being. And along with that interest, a few intriguing Hulk-themed video games have come out in various arenas over the years. Some of the most recognizable of these games, at least to those who seek out online entertainment, can be found in Betfair’s selection of online slots that includes a number of homages to popular superheroes. 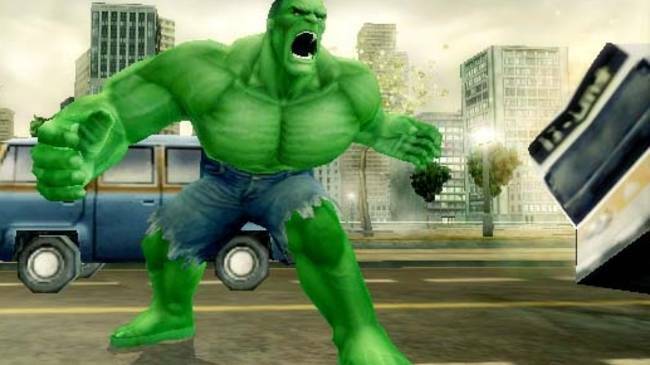 Hulk games feature prominently on this platform, making use of Hulk images and drawings of emergency vehicles, as well as a “smash bonus” to make the gaming format more interesting. These games appear to be tied more closely to the 2008 film than the 2003 one, but they still speak to the public’s interest in the character in gaming circles. But in a more conventional gaming context, developer Radical Entertainment was responsible for the most noteworthy Hulk-related titles, and really for one of the best forgotten gaming series of the past 15 years. 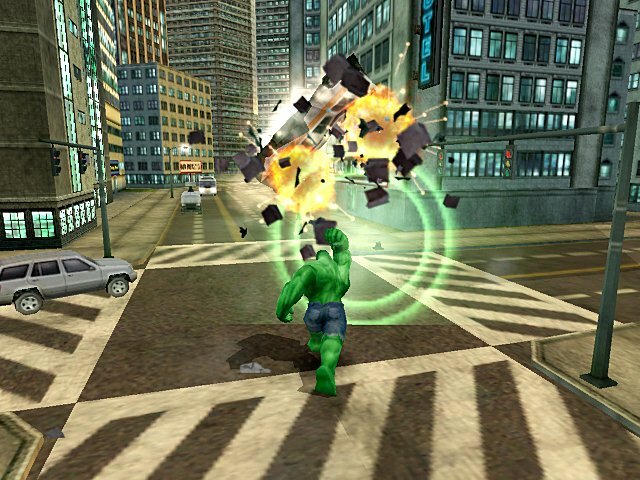 They started off with Hulk, a 2003 game for Gamecube, PS2, and Xbox that was designed as a gaming follow-up to the film from the same year. It was widely praised for embracing the destructive capabilities of its central character and focusing on mayhem rather than rigid structure. That being said, it was also viewed by many as being too short, or feeling incomplete. In between Hulk films, Radical Entertainment came back with The Incredible Hulk: Ultimate Destruction in 2005. The game was available for the same systems and in many respects was a more extensive version of 2003’s Hulk. Below I’ll take a look at some of the features that made this ’05 effort one of the best games we’ve seen concerning Marvel heroes, even all these years later. When the game begins, Bruce Banner is hiding out in the “Badlands” of America in a secluded cabin, afraid of his own powerful potential when he transforms into the Hulk. As Banner, you’re essentially an outlaw. You refuse help from the friendly Doc Samson, who wants to assist in building a machine that can control the Hulk affliction, and you hide from The Division, a government organization hell-bent on bringing down the Hulk. But really, that’s about it for story focus or plot build-up. It’s a nice little beginning that sets the scene for a classic Hulk tale, but when The Division attacks your shack with a missile, you pretty much go into pummeling mode. The story element continues throughout the game, essentially amounting to an ongoing struggle against The Division. Along the way, government agent and Banner nemesis Emil Blonsky becomes the Abomination after stealing a vial from Banner’s ruined shack. Additionally, Samson directs the action to some extent through a sort of psychological control that sends Banner on missions when he’s transformed as the Hulk. But really, it’s a loosely organized string of mass chaos stemming from the first attack—and I say that in the most appreciative of ways. The Incredible Hulk: Ultimate Destruction employs an open-world style, flipping mostly between cityscapes and the Badlands while employing a satisfying variety of bad guys for you to lay waste to. And within this environment, there’s a rumbling version of free running that’s utilized, allowing you to keep moving forward whether by leaping whole streets, scaling buildings, or simply breaking through solid matter. Movement and open world aside, it’s the battle action that really makes this such an impressive Hulk game. Simply put, the number of ways in which you can interact with your environment for the sake of destruction is mind-blowing, particularly for a game that came out in 2005. You can smash your way into a bus and then walk around using it as a disguise; you can pick up a tank by its cannon and whirl it around your head to toss at an enemy; you can even tackle a helicopter in mid-air. And of course, you can work up special attacks that basically wipe out entire areas of whichever part of the map you’re playing. All of those features and capabilities, plus the fact the boss fights within the game are satisfying, makes for an experience that’s basically raw fun. If you’re buying a Hulk game, you’re probably doing it because you want to tumble and tackle your way through a city and its endless waves of villains. Well, that’s exactly what this game gives you the chance to do. In a retro review for a 2005 game, it almost seems unfair to comment on graphics because of course by now they look dated. At the time, The Incredible Hulk: Ultimate Destruction was pretty much on par with good, but not top-tier, graphics of its era. The human portions (as in, when Banner is walking around) are actually vaguely reminiscent of the style of Grand Theft Auto III—an early version of 3D characters lacking detail but approximating real life closely enough. Hulk, meanwhile, looks a little more old school. Ultimately, the visuals are pretty sharp even now. They won’t blow your mind, but everything is clear and engaging, such that the game falls more into the category of old graphics that are kind of nostalgic, as opposed to annoying. Sound is one area in which the game falls slightly short. The soundtrack as a whole is boosted somewhat by the fact that Ron Pearlman does some voicing, but overall the audio quality is at times almost as chaotic as the action. At times this makes for a sort of random jumble of noise. It doesn’t take away from the game, but it does leave something to be desired. It’s far and away the best Hulk game ever made, and frankly still stands as one of the most satisfying superhero video games not associated with the Arkham franchise. If you still have a Gamecube or compatible Playstation or Xbox device, it’s well worth picking up even now.